Perhaps this one will convince the flat Earthers. This is the view of Earth that greeted a Nasa astronaut as he ventured outside the International Space Station (ISS). Randy Bresnik took the footage on a GoPro camera as he undertook a space walk last month, but only just posted it to social media. Bresnik was on a mission alongside fellow Nasa astronaut Joe Acaba to repair the ISS’s Canadarm2, a robotic arm that, among other things, snags incoming cargo for the station. With this view available to them, it’s amazing they got any work done at all. The video may go some way to putting an end to a recent rash of flat-Earth conspiracy theories. But…but…people on the internet told me that it’s flat!!! Shaquille O’Neal, rapper B.o.B and more recently cricketer Andrew Flintoff are among the prominent names who have recently suggested they believe the Earth is actually flat. 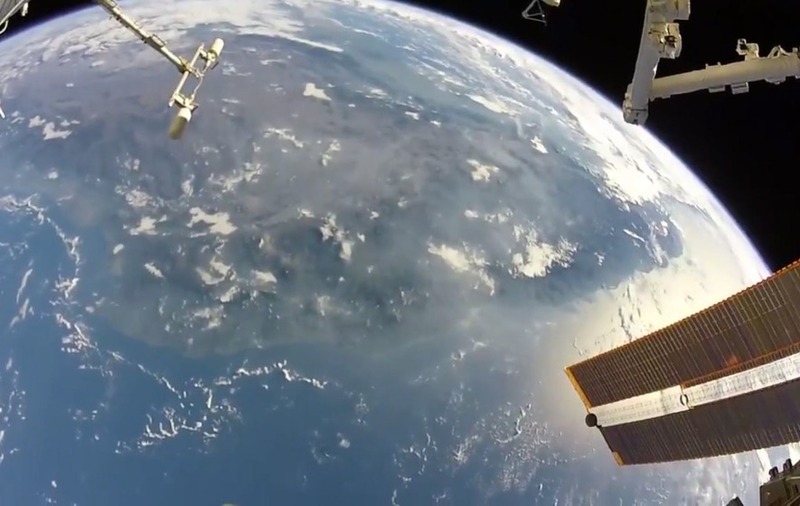 But Bresnik’s video clearly shows the curvature of the planet which can be seen rotating relative to his position as he gets on with his work.